Your Jeweler was established in Carterville, Illinois in 1988. Our business started as a wholesale trade shop. 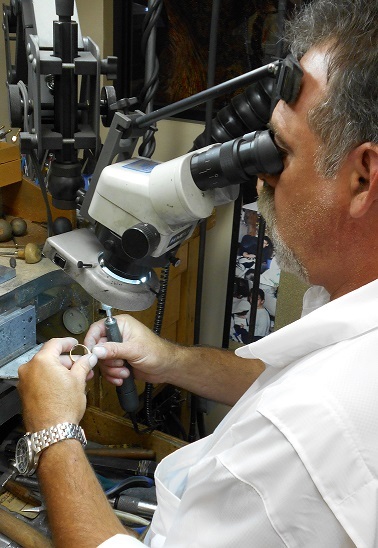 We had four jewelers doing repairs and service work for many of the other area jewelry stores and jewelry departments throughout Southern Illinois. We opened our first retail store in 1991, located on Plaza Drive in Carterville. After fifteen successful years, we outgrew our building and in 2006, constructed and moved into a new building, which is now our current location on West Commercial Drive off route 13. You may know it as the Merchant’s Walk Strip Mall. 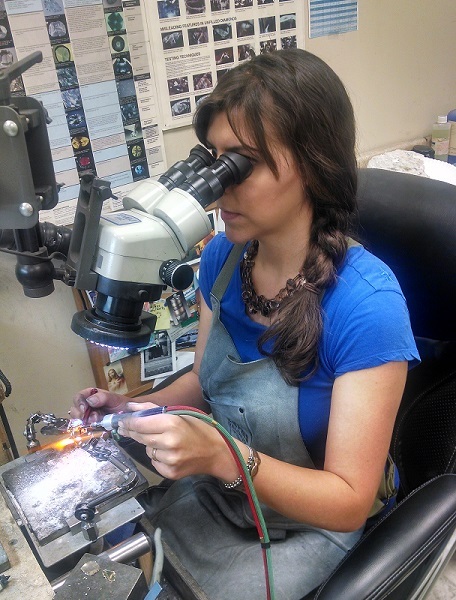 Each member of our team is passionate about the jewelry business. 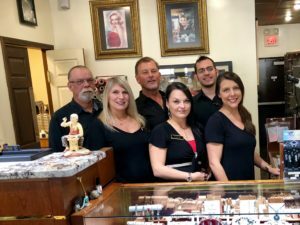 We have two full-time jewelers and one part-time jeweler on our staff with a combined 55 years of experience in the industry. Our sales and design team are also seasoned, with over 50 years experience in the field. We attend trade shows and seminars on an annual basis to keep up with the latest news and trends. Most members of our team hold GIA Certificates of Training. Our motto is “More than just a jewelry store,” and we intend to prove that to our customers by earning their business. We are committed to doing whatever it takes to satisfy our customers’ needs and desires. Your jewelry is safe with us. We are insured by Jewelers Mutual as well as being a member of the Jewelers’ Security Alliance, the Better Business Bureau, the Retail Jewelers Organization of America, and the Carterville Chamber of Commerce.